You are not alone. We’ve got your back. 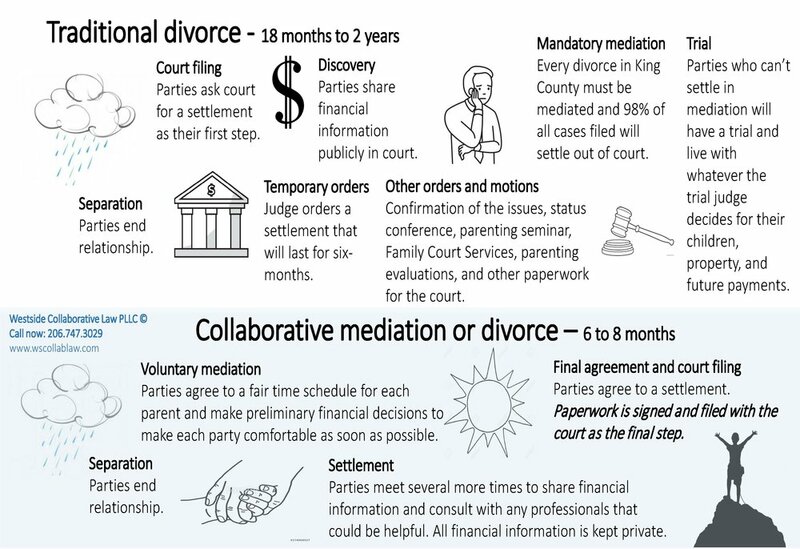 Collaborative family law and mediation take the stress and expense of going to court out of your divorce. You can take control of your family’s transition. At Westside Collaborative Law, PLLC, your West Seattle family law attorney and mediator, we work hard to be a guide and a partner in the process, but you are in charge. Together, we will work to find a solution that works for you. We help you build the life you want. Your divorce is in your hands.